This week, Nancy Merrill is asking us to look for groups of three for her Photo A Week Challenge. Having found plenty of twos for Cee’s B&W Photo Challenge, I realized that coming up with threes was not going to be quite so easy. 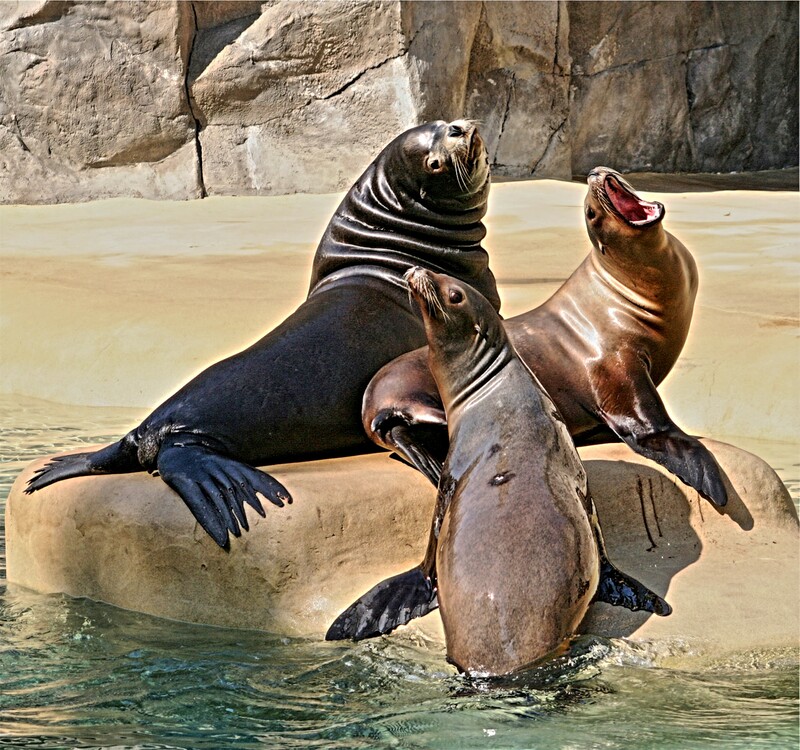 Three sea lions at the zoo. This picture was taken some years ago and I’m having a hard time remembering where but I think it may have been at the zoo in Indianapolis. 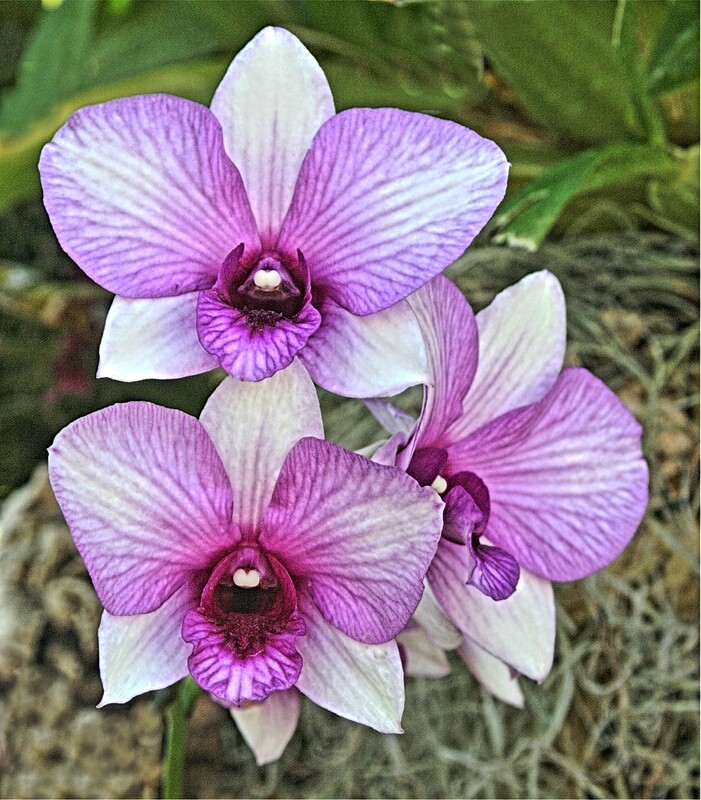 Three beautiful blooms at the Orchid Festival in the Chicago Botanic Garden. 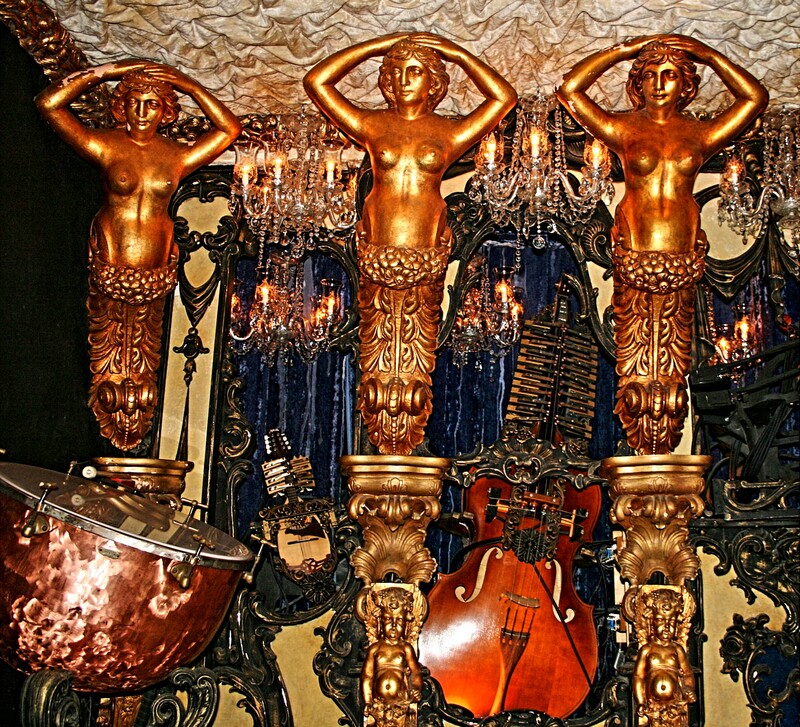 Three naked ladies, part of a fantastic music machine at The House on the Rock in Spring Green, Wisconsin. 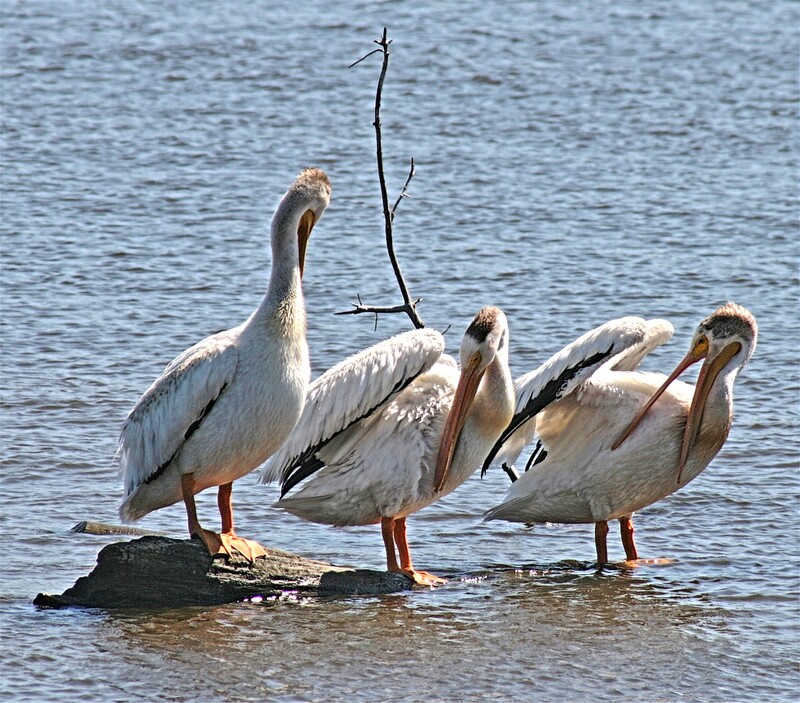 Three pelicans preening on the Mississippi River in Davenport, Iowa. 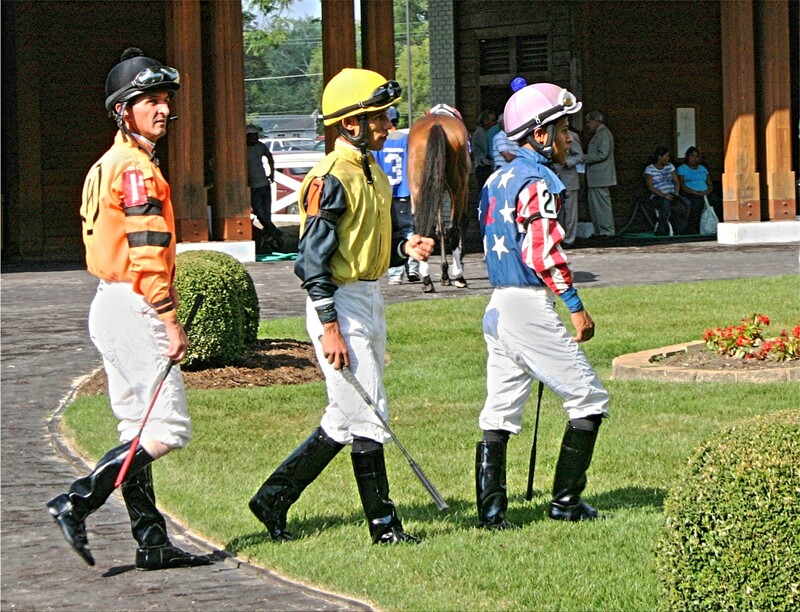 Three jockeys entering the enclosure before a big race at Arlington Park, Illinois. 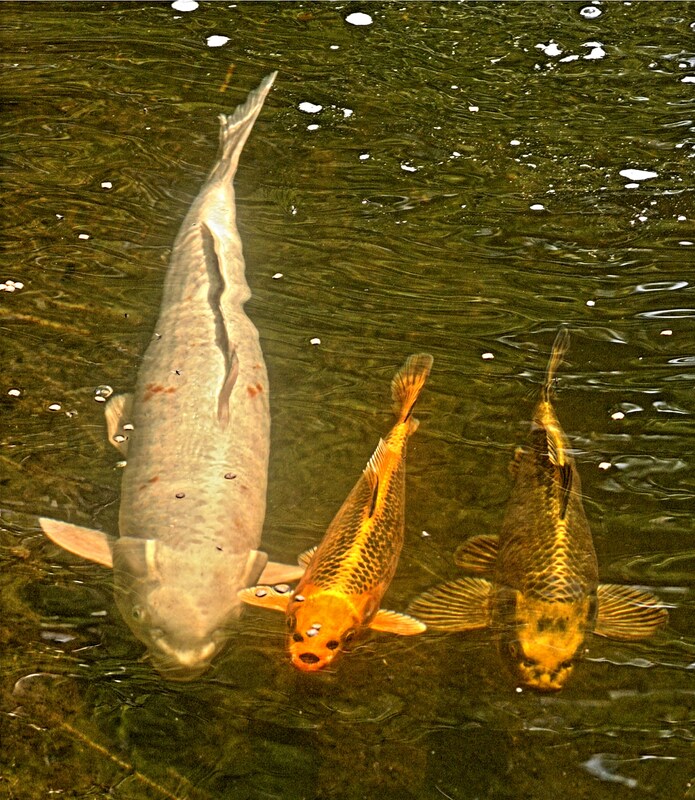 Three koi swimming in a pool at Anderson Japanese Gardens in Rockford, Illinois. You have surpassed yourself this time. Thanks, Tom! I always enjoy these challenges as it gives me an opportunity to share pictures that I might not otherwise use. These are perfect for the challenge. Love all of the photos. Thanks for joining! Thanks, Nancy! And thank you for hosting these challenges.